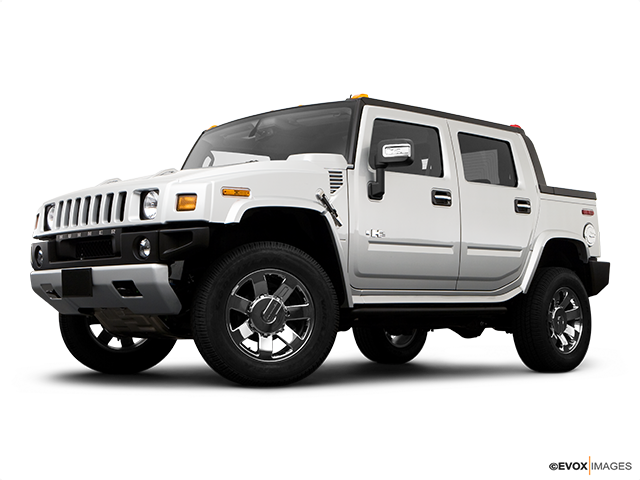 The Hummer H2 is a giant that delivers on rough terrains like no other SUV in the class. It has a sharp-looking exterior and a comfortable cabin for the most enjoyable ride. 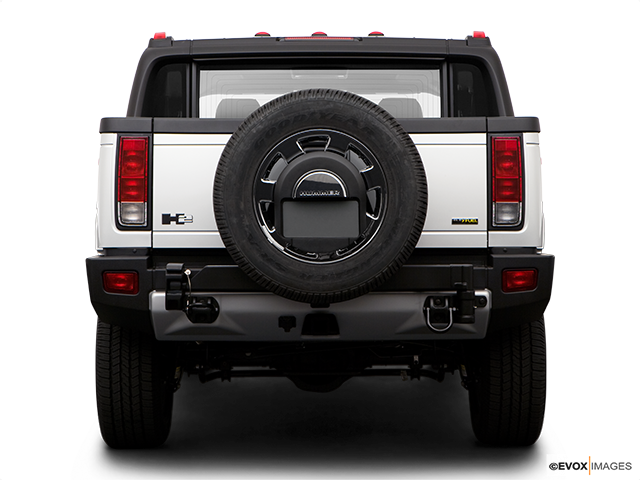 The Hummer H2 simply can’t go unnoticed on the road. The reason for this is its massive presence and a distinctive style to complement the overall aggressive look that the vehicle is going for. It offers amazing off-road performance with a powerful engine and a smooth shifting transmission. Together with a high-quality and comfy interior, you won’t be bothered by the rough terrain. With minimal body roll and smooth handling, you’re guaranteed to have the most enjoyable and fun drive in this giant. The H2 is available as a used vehicle, so read on to find out why you’d be wise to consider buying one. The H2 comes with a 6.2-litre V8 engine good for 316 horsepower and 360 lb.-ft. of torque, yet buyers are surprised by its amazing fuel economy. There’s a standard six-speed automatic transmission which works great and gives you lots of options. With its lofty ground clearance and amazing suspension system, it is ready to tackle any road in front of it. The all-disc anti lock brakes provide great stopping power and its brake pedal has top-notch linearity as well. For the safety of the driver and the passengers, the H2 is equipped with side curtain airbags for all rows of seats and an electronic stability system. The cabin has three rows of seats which have leather upholstery and feel comfortable and supportive to sit in. The materials inside are of high-quality and there are a lot of soft-touch surfaces. The interior is quite spacious and there’s a lot of head and legroom in all three rows. You’ll feel supported but comfortable even on the bumpiest roads. Overall, the interior serves to provide enough comfort for maximum enjoyment over rough terrains. Some of the tech features inside the vehicle include air conditioning with tri-zone climate controls, cruise control, universal garage door opener, dual memory system, outside-temperature indicator, BOSE premium sound system and rear radio controls. All of the buttons are nicely arranged for a better reach and handling. The front seats are 8-way power adjustable and all of the seats are heated. The steering wheel is wrapped in leather for a nicer and more comfortable grip. The sound system provides one of the clearest and loudest sounds for a fun and entertaining drive. 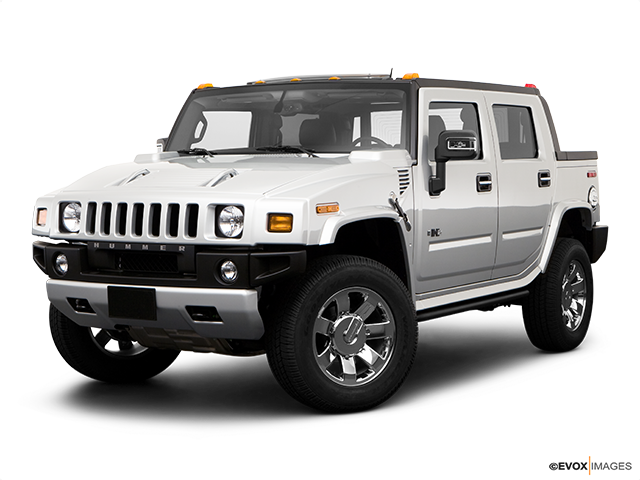 A Giant SUV with a Powerful Engine The Hummer H2’s imposing physical presence is complemented by a powerful and capable engine. It leaves an impression on you as soon as you start it. But, the first thing you can’t miss when you come across this vehicle is definitely its size. It is a giant that conquers rough terrains like no other SUV can. The H2’s performance goes well with its sharp-looking exterior. If you consider buying a used H2, you surely won’t be disappointed. It has a lot of qualities to discover, a unique look and amazing performance. It is a vehicle that impresses with quality and power.